Juventus has dropped just four Italian Serie A points this season and one expected the Old Lady to register their 19th win in 21 rounds when they tackle Lazio on Rome in Sunday. 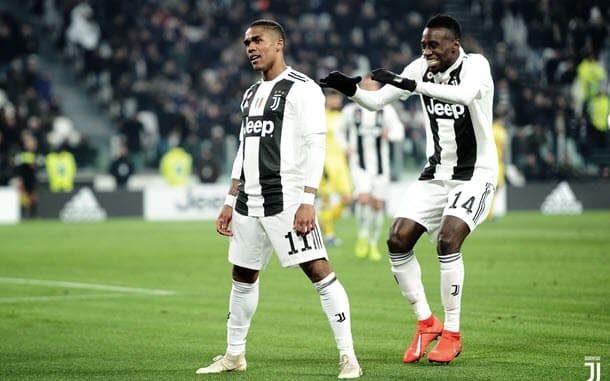 Only Atalanta and Genoa have avoided defeat against Juventus in Italian Serie A and the Old Lady posted a 2-0 home win over Lazio when they clashed in the second round back in August. Juventus is nine points clear of Napoli at the top of the Italian Serie A ladder and it would take a massive collapse for the Old Lady not to win their first title with Cristiano Ronaldo on their books. Lazio is ranked sixth in Italian Serie A, a whopping 24 points behind Juventus, and it is because the White and Sky Blues have failed to beat any of the top seven teams. Lazio’s many flops versus the heavyweights of Italian Serie A is why one’s collateral form analysis favours Juventus so strongly over the White and Sky Blues – the side from the capital trail the champions-elect 4-3-12, including progressive counts of 0-0-7 and 0-1-9. Juventus has a few injuries but the Old Lady have a roster sufficiently deep to deal with them. Lazio, however, has a couple of players banned for its toughest Italian Serie A home match of the term and, with Luis Felipe injured as well, the White and Sky Blues are light on for defenders, which is bad news when Juventus are coming to town. Each of the last two Italian Serie A meetings between Lazio and Juventus have gone the way of the Old Lady and one rates them as the best bets of what is a high-quality round at 91/100 1.91 -110 0.91 -1.10 0.91 with Black Type. Sampdoria has won three Italian Serie A games in a row and it has lost just one of its last 14 home matches across all competitions against Udinese, which it hosts on Saturday at 9/10 1.90 -111 0.90 -1.11 0.90 with Bet365. Gaston Ramirez will sit out Saturday’s Italian Serie A game through suspension but Fabio Quagliarella is on for fire for Sampdoria, scoring in 10 consecutive league matches – he will equal Gabriel Batistuta’s record of rustling the onion bag in 11 straight divisional fixtures if finds the back of the net versus a relegation-threatened Udinese team that is 1-4-4 on its travels, beating only Chievo on the road. According to one’s Italian Serie A collateral form analysis, eighth-ranked Sampdoria boasts a 10-2-7 advantage over 15th-ranked Udinese, including progressive counts of 3-1-0 and 7-3-0. 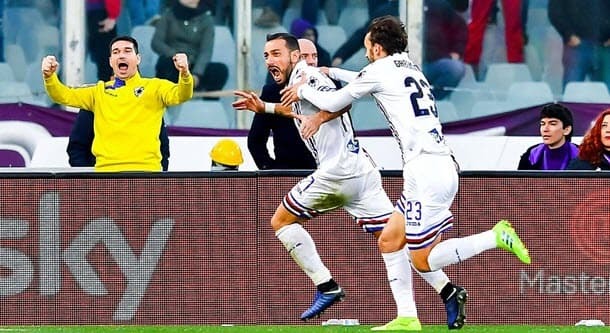 One is satisfied Sampdoria’s edge over Udinese is bigger than the bookmaking fraternity thinks and, therefore, Samp and their in-form striker will carry one’s money. With no side within six points of Napoli on the Italian Serie A ladder, the Partenopei have no reason to play with caution at Milan on Monday at 21/20 2.05 +105 1.05 1.05 -0.95 with Betway. 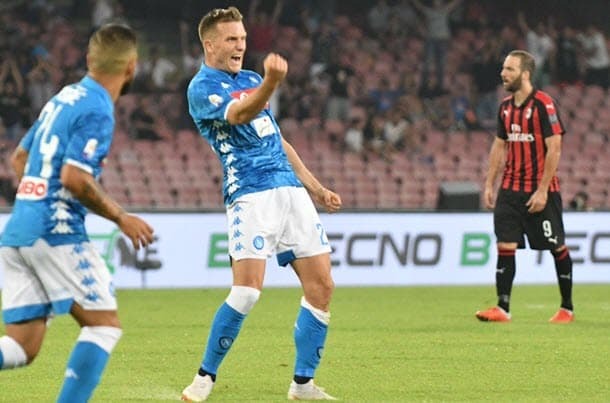 A draw is not going to be much use to Napoli in its pursuit of Juventus and the Partenopei are relatively safe in one of Italian’s Serie A berths for next season. According to one’s Italian Serie A collateral form analysis, Napoli boasts an 11-4-4 lead over Milan and that includes progressive counts of 2-0-0, 4-1-1 and 7-1-2. Napoli boss Carlo Ancelotti has a full roster for which to choose as he faces the Milan team at which he won everything under the sun as a player. But Milan has several injuries and, of course, Gonzalo Higuain has moved to Chelsea.